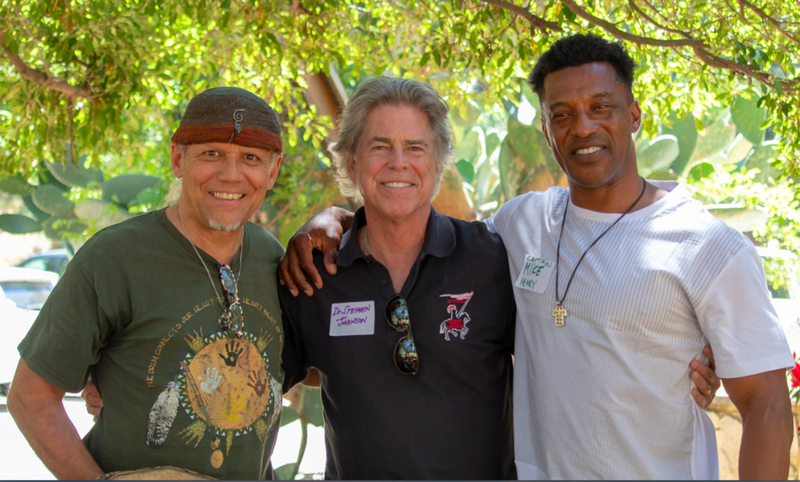 MINDFULNESS IN NATURE: International Master Music Maestro Christo Pellani with Men’s Center Los Angeles Executive Director Dr. Stephen Johnson and LA County Fire Department Captain Mike Henry facilitating special FireFighters Down therapeutic healing group event on the mountain in June. Our beloved friend and muse, Christo Pellani, is being forced to relocate his home Healing Sanctuary and recording and rehearsal studios of 19 years in the midst of this holiday season. This unexpected and involuntary move is going to literally shake the foundations of his residence which housed both his life’s work and his creative space. The move itself is massive; it includes 3 huge installations. (Hellooo…have you seen and experienced his percussion and sound healing tools collection!?) Aside from the general expenses of moving personal belongings, he has costs associated with dismantling a rehearsal space and office, demolishing 2 studios, cartage and storage of instruments and healing tools, and deposit on a new space. Simply stated, he needs the support of our community to make this a smooth transition and secure a new residence over this holiday season. 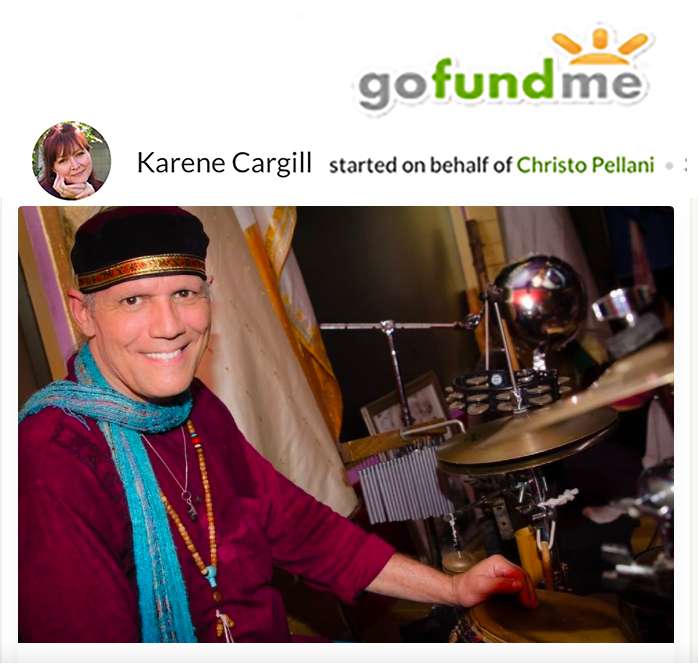 Christo has touched so many lives with his work as a gifted Expressive and Therapeutic Arts Counselor, Sound Healer, Master Drummer, and Life Coach in various communities, and asked so little in return. Please do what you can as a return gift to support Christo in this transition and continuing this important work. If you can contribute in any amount, it would be enormously appreciated; all contributions go directly to Christo, and will assist in defraying this costly endeavor, and will be utilized to make this huge relocation go as smoothly as possible. If you are unable to offer anything financially, please do lift him in prayer and send well-wishes that this moving process goes with ease and grace into wherever he is being led. Deep pranams and gratitude . . . Namaste. Click here for Christo’s GoFundMe page. Thank you MCLA family and friends for your prayers and support and good energy. MCLA is proud to support and endorse our brother Christo. Thank you for your prayers and good energy. Older Post“DO YOU LOVE TO BE NEEDED, OR NEED TO BE LOVED?"